This custom home neighborhood is nestled in a forest of pines, natural greenery and spring fed lake. Homes in Tall Pines are centrally located for ease of shopping, exercise, schools and entertainment. The elementary school was brand new in 2002, and is just five minutes from the neighborhood, while the middle school is only a two minute bus ride away. And the high school, one of the best in the state, is right behind the community. 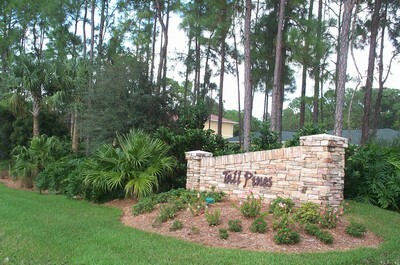 While close to the movie theatre, shopping, YMCA and other amenities, Tall Pines real estate is still a small secluded community with only one entrance and exit, each built to a unique design.